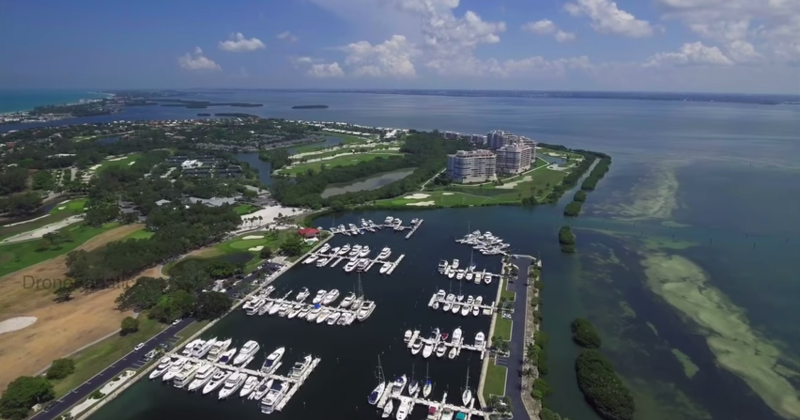 Come join us in beautiful Sarasota, Florida — Home to one of America’s number one beaches. Located minutes from the beautiful sandy beaches of Florida’s West Coast, our Magnet hospital is continuing to grow and expand! Sarasota Memorial Health Care System is a community-owned regional medical center and leading acute care hospital and named by U.S. News & World Report as one of “America’s Best Hospitals”, ranking above all other Florida institutions in several specialties. These awards combined with our supportive team environment help to ensure your success! 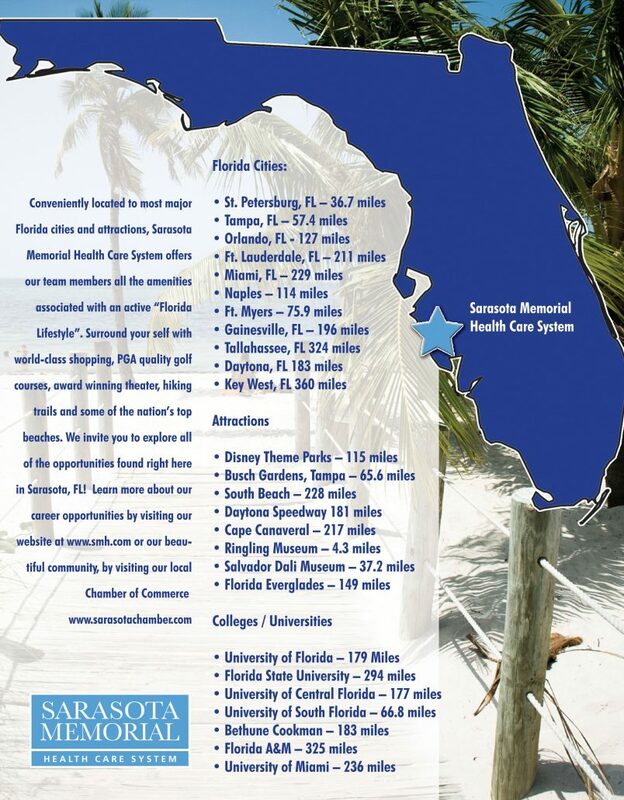 Our Location: Conveniently located to most major Florida cities and attractions, Sarasota Memorial Health Care System offers our team members all the amenities associated with an active “Florida Lifestyle”. Surround yourself with world-class shopping, PGA quality golf courses, award winning theater, hiking trails and some of the nation’s top beaches. We invite you to explore all of the opportunities found right here in Sarasota, FL!